This has been a fun quilt project which is already getting plenty of use! I picked up a beautiful Tonga Treat fabric pack from The Sewing Studio in Redruth on a recent trip to Cornwall and wanted a quick sewing fix as a break from my long term sewing projects. 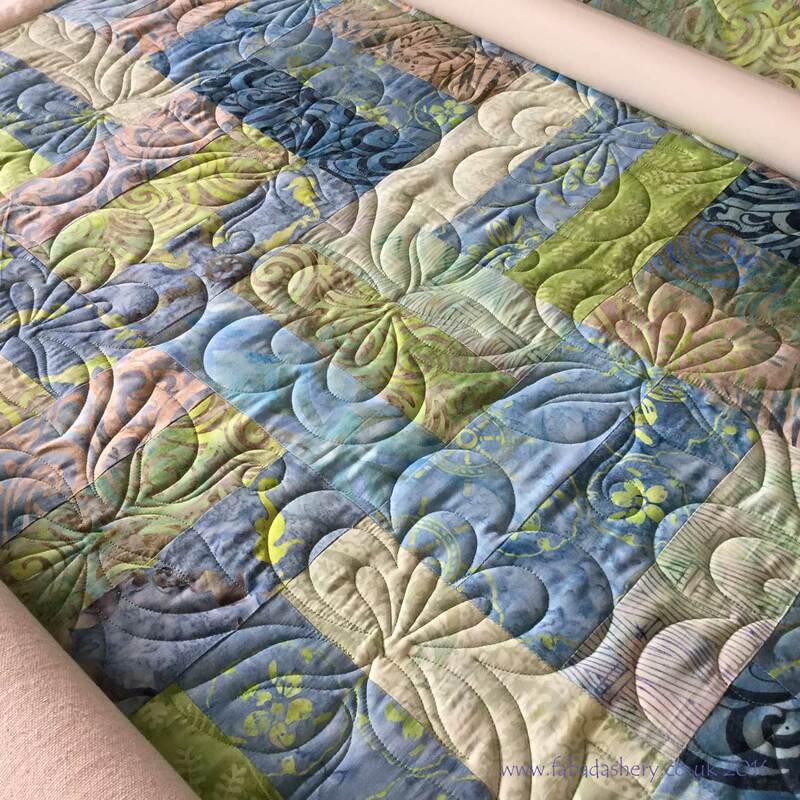 A quick Rail Fence pattern blended the batik fabrics beautifully and within 24 hours it was ready to quilt on my longarm quilting machine. 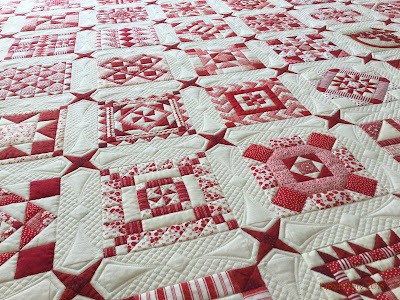 The quilt measures about 44" x 58". 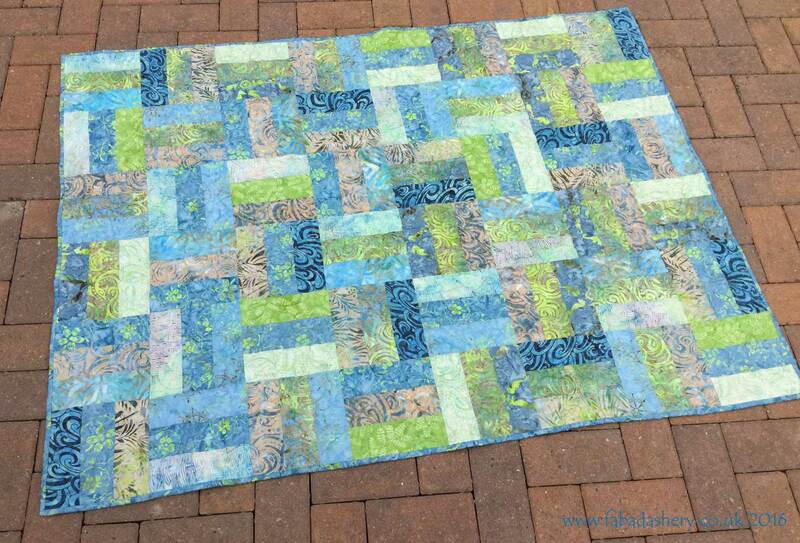 I put in a thin polyester wadding and stitched it with a bright green Isacord thread. 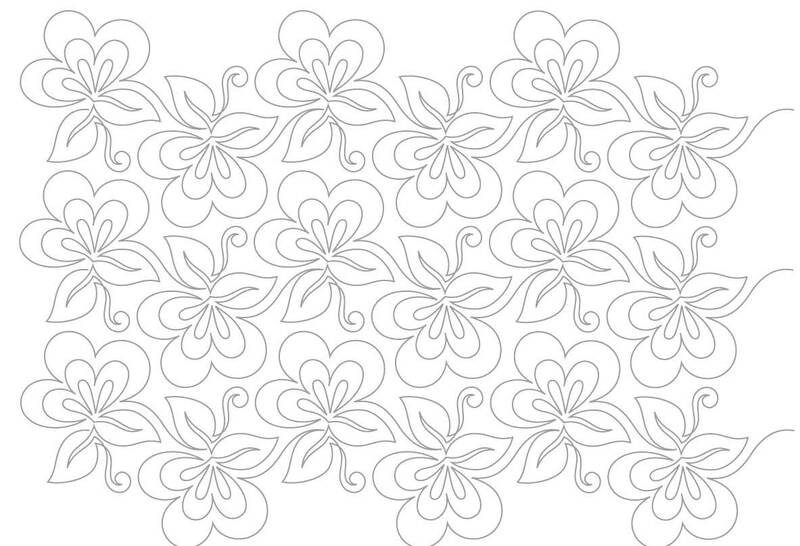 With the modern fresh colours I wanted to try out a new digital pantograph which I have added to my collection - Moxie by Patricia Ritter and Leisha Farnsworth, which has big, bold flowers all over it. For the back I used something special. 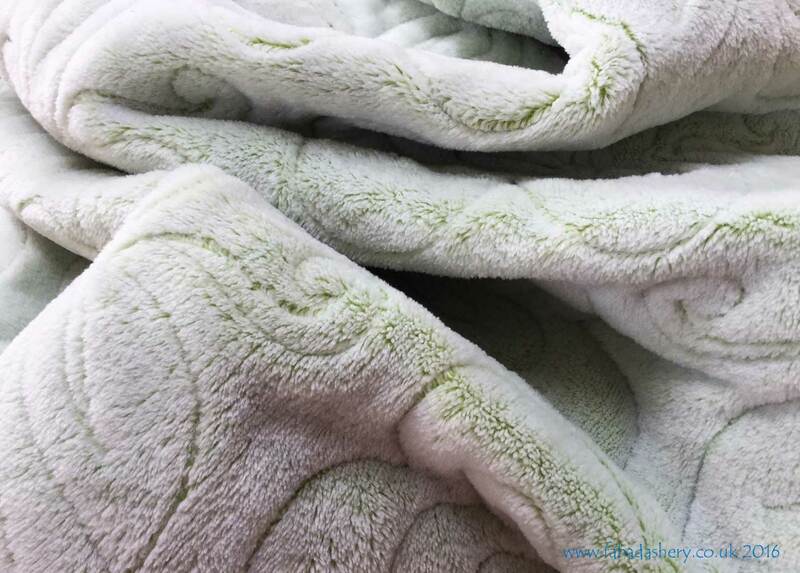 I wish you could reach through your screen to touch the back of this quilt - it is a beautiful plush cuddlesoft fleece fabric with a tint of green. 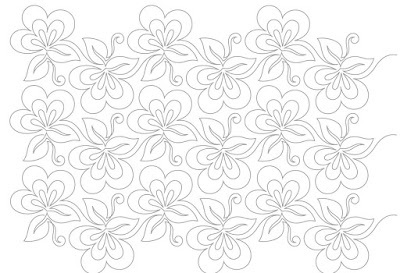 When I was choosing my Tonga Treat pack I had this backing in mind. 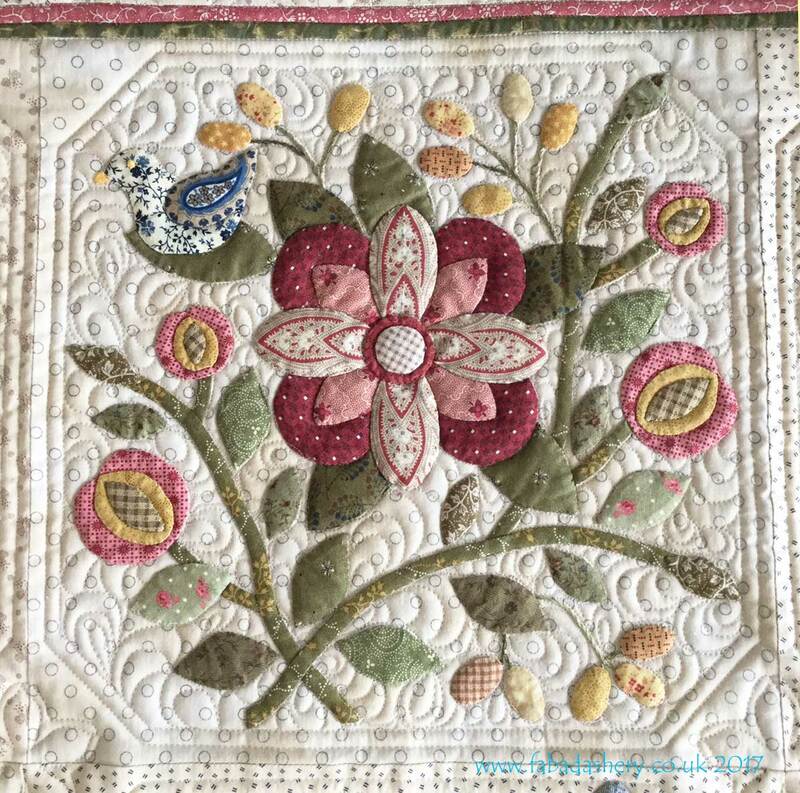 It has a beautifully soft, deep pile, so when stitched the back has a sculptured look to it, whilst being beautifully tactile. 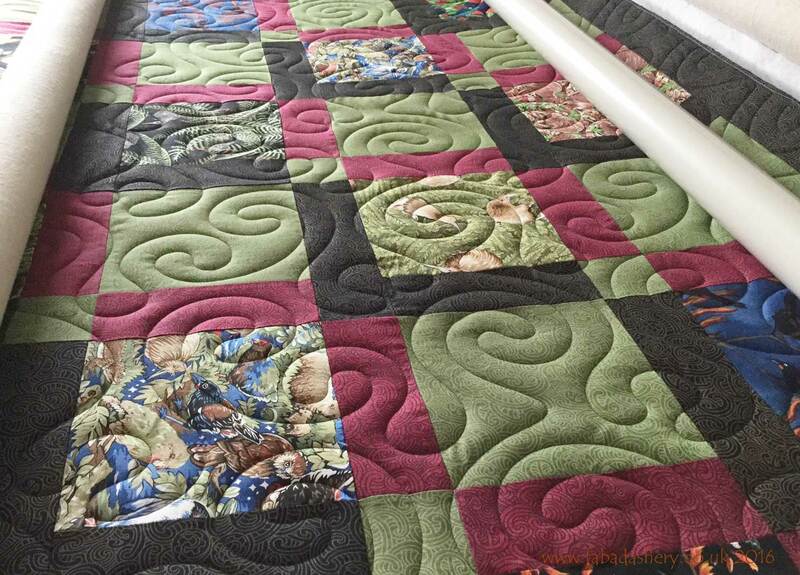 I have used fleece several times before on my longarm quilting machine and I am happy for customers to bring it. 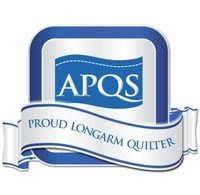 They do vary a lot in quality and I always give them a tug before I buy them. There should only be stretch one way, which allows me to mount it easily on the frame without too much distortion. I also usually put in a thin wadding or a layer of cotton flannel, to support the stretch of the fleece. Now the nights are starting to draw in I am looking forward to snuggling up underneath this quilt! Joining up with Whoop Whoop Friday! 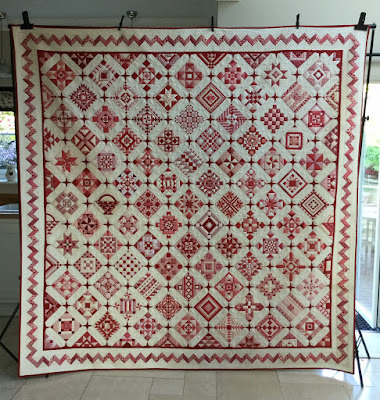 I have recently had success with one of my own quilts at the 2016 Great Northern Quilt Show. 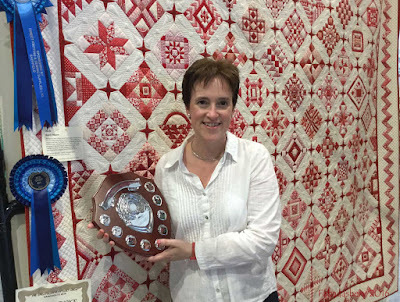 My 'Nearly Insane' quilt won first in the Best Bed Quilt category, the Longarm Quilting Award and the Best in Show Champion Shield. 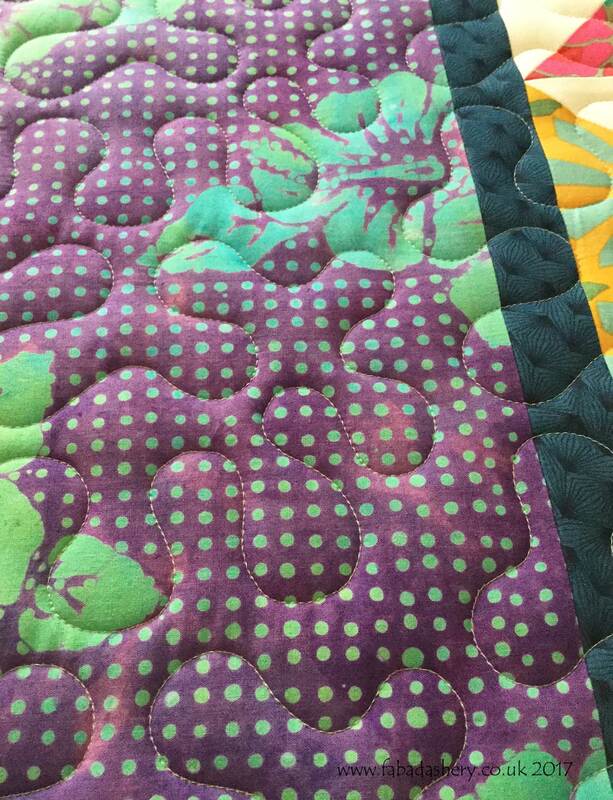 I always try to enter my quilts in shows so that people can see the range of quilts I work on and to show that I am a quilter too! 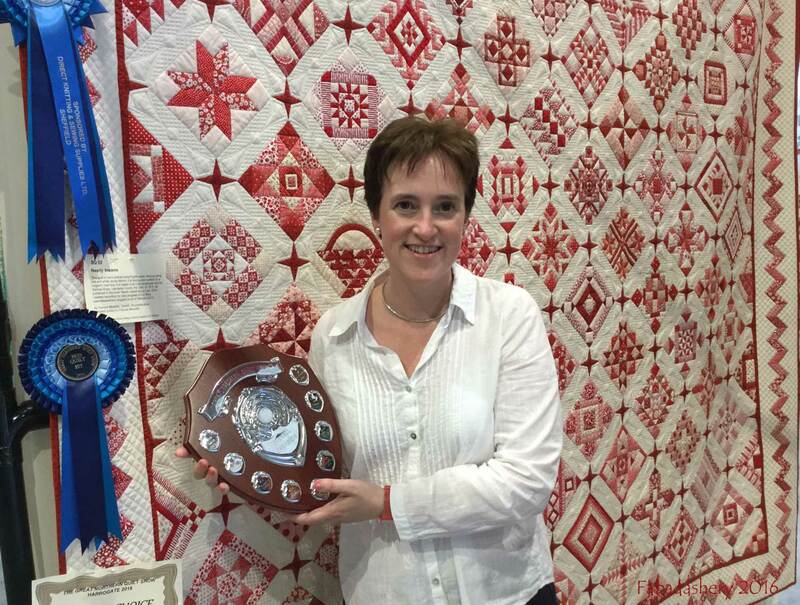 The prize winning Nearly Insane quilt top was completely hand pieced (yes, hand pieced!) 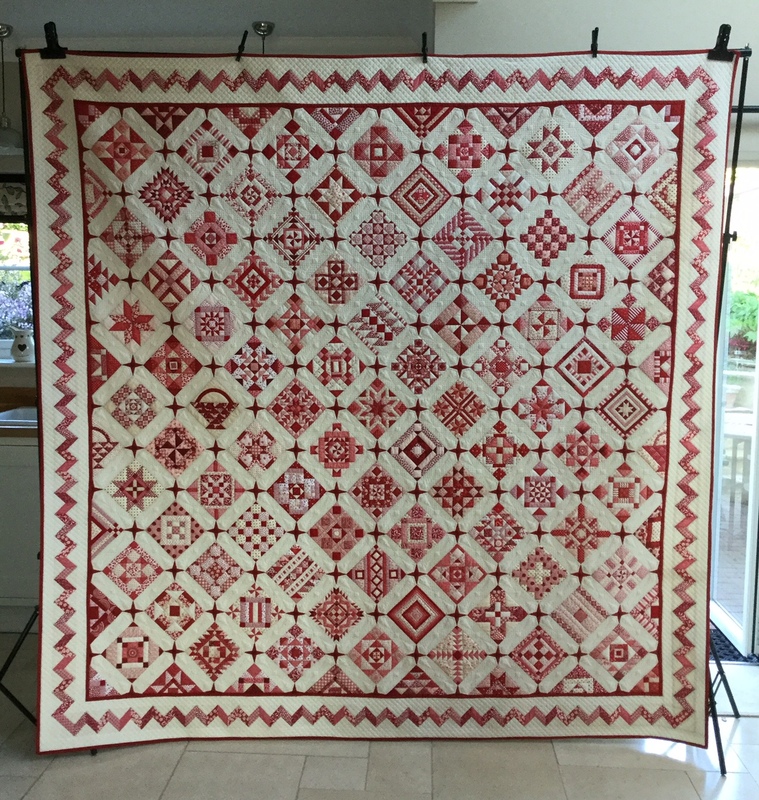 using English paper piecing and took me just over two and a half years to make. 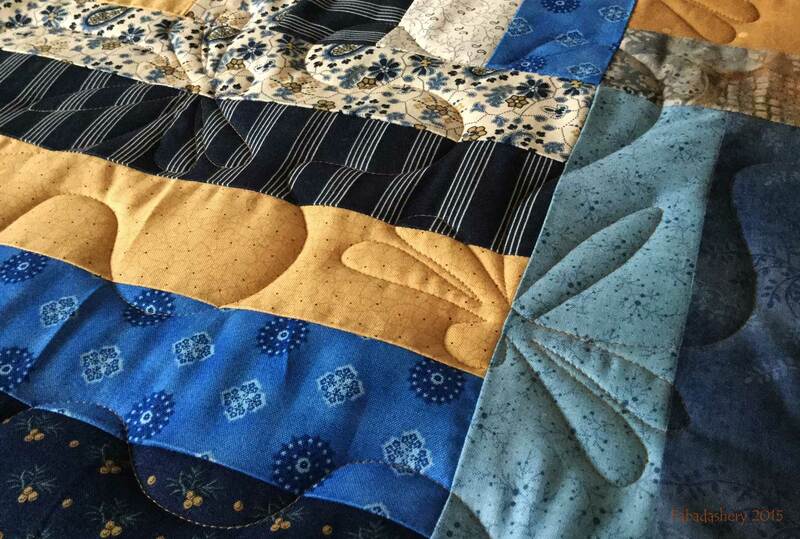 Once the top was done, like many of you, I was eager to get on with the next project. 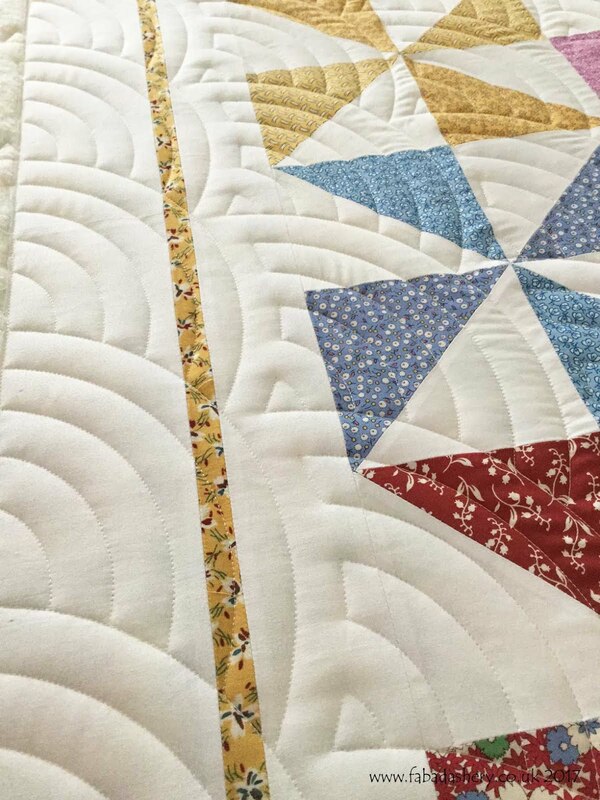 I have hand quilted several of my own quilts before, but knowing how many seams there were in this quilt top and how long it was going to take, I couldn't really ever imagine this one being top of my list to do. 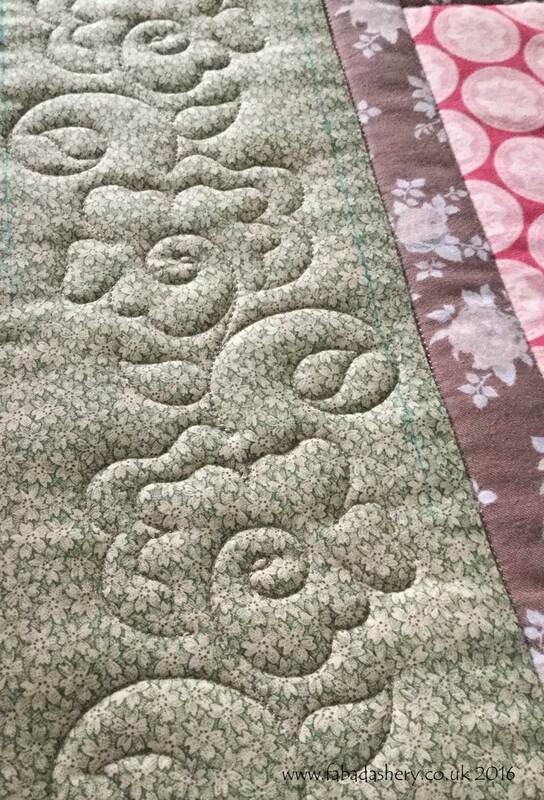 It was close to joining all the other unquilted quilt tops in my cupboard. 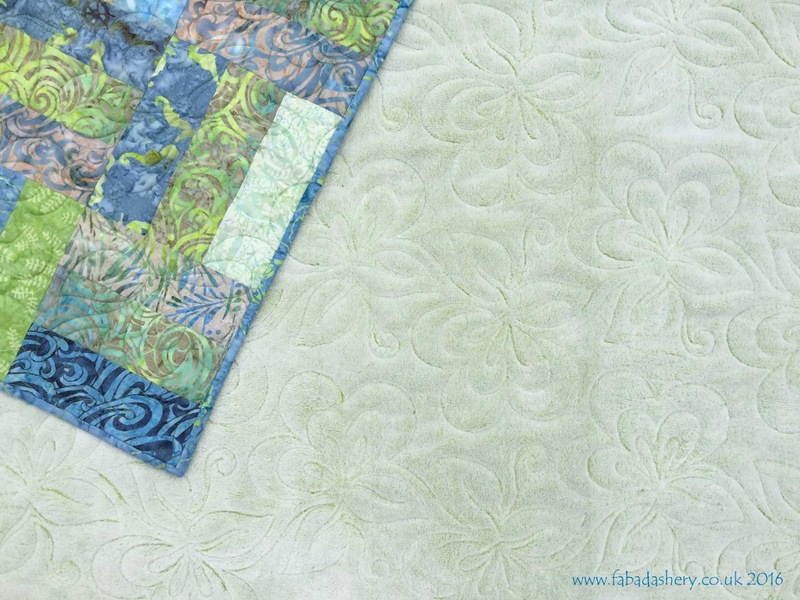 This is when I decided to invest in a longarm quilting machine. 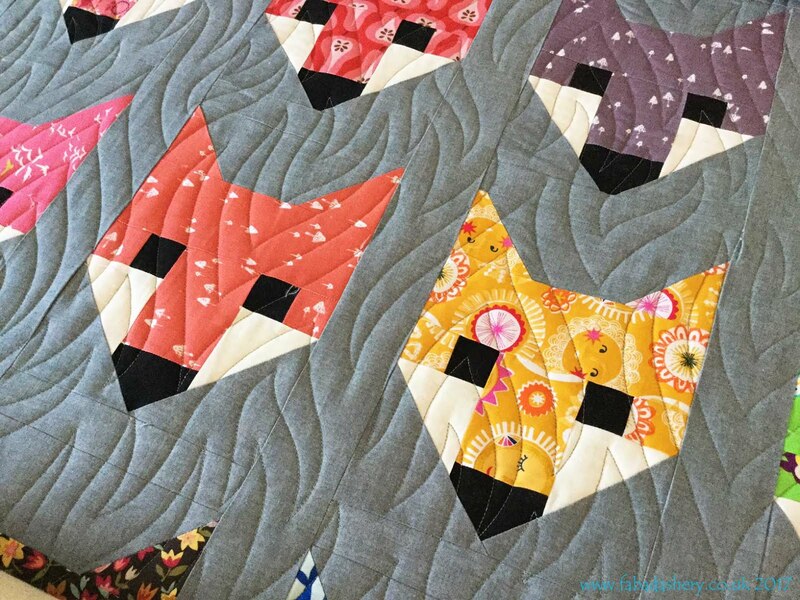 The Nearly Insane quilt was quite a significant part of my life at the time and so when a customer brings a special quilt top to me for quilting I really can appreciate the time and effort that they have put into their projects, whether they are a beginner or an accomplished quilter. 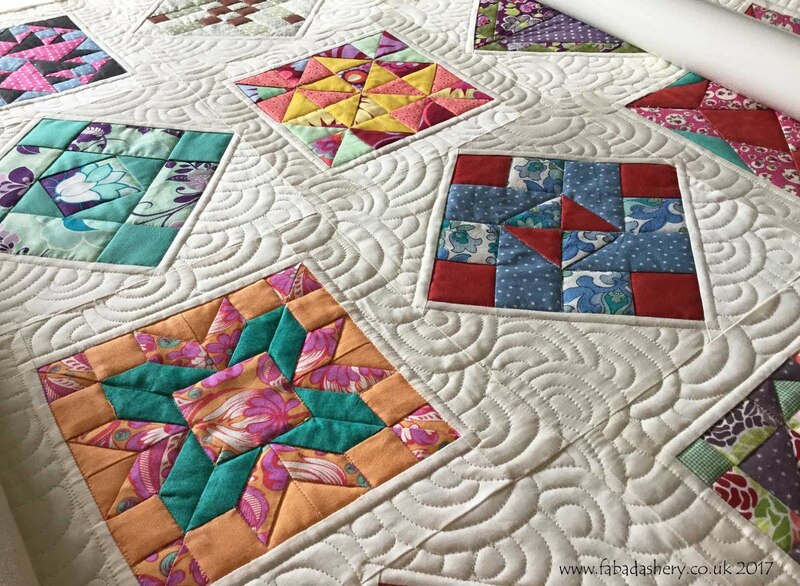 I am passionate about piecing as I am quilting, but one is no good without the other and ultimately we all want a finished quilt. As I have said before, knowing that I could get my quilt finished really invigorated my passion for quilting and I am pleased to offer the same opportunity to my quilting customers.